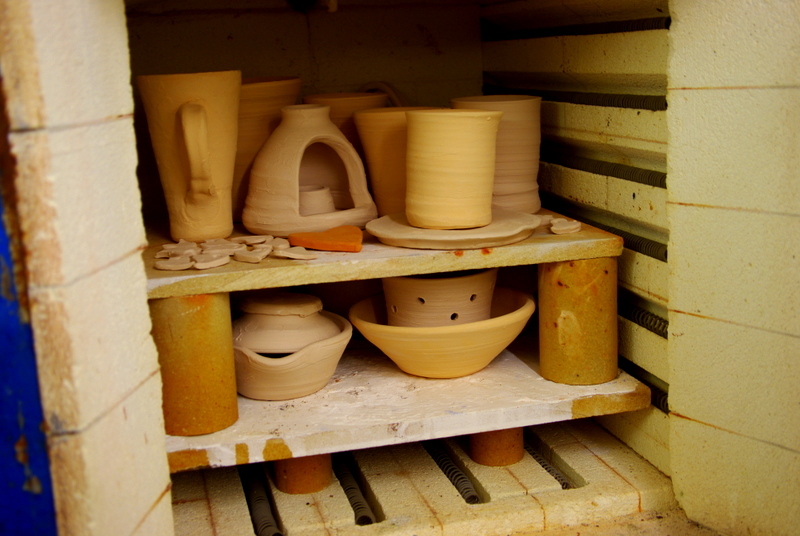 Regular readers will know that about a year ago, I took a road trip down to Derbyshire to collect two kilns and a load of pottery equipment that we intended to install in our cellar. It turned out to be a lot harder than we thought as the big Kiln, weighing in at over half a ton, had to be extracted from an outbuilding at the end of a garden, carried in over and around rockeries, garden ponds and bushes and then lifted into the back of a hired van. Without a couple of Michaela’s uncles (both ex miners and used to moving big things) we simply would never have moved it. When we got it all up here, the first challenge was getting it out of the van- stop forward some more friends, and we somehow got it on the ground without killing anyone. However, getting it down the cellar stairs was a whole different challenge. I was discussing this problem when out for a curry with a group of blokes- one of whom, Dave, is in charge of the men who work on the hillsides keeping our electricity lines safe and functional. Dave sent round a couple of his workers, along with a winch, a ground anchor and a special sledge they use to move generators and the like into inaccessible places. They had the Kiln in the cellar in no time. 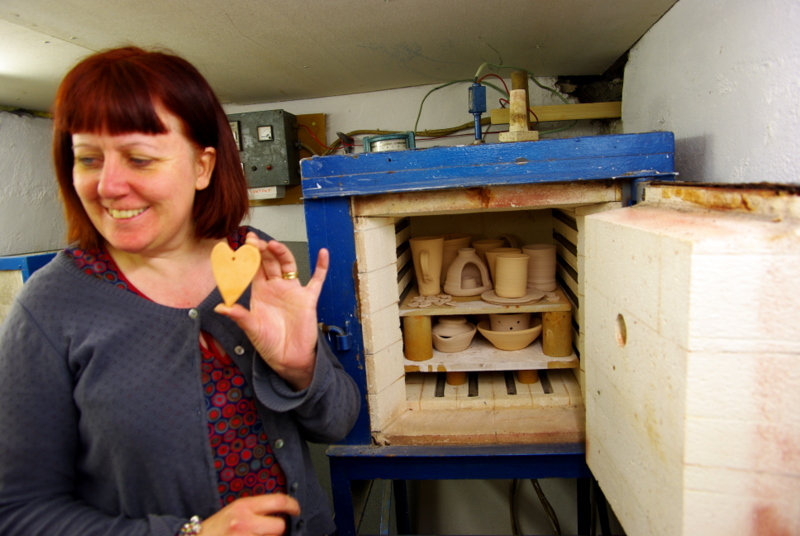 Then we discovered that the cost of wiring in the Kiln was not as simple as we had hoped, costing roughly 4 times what we had paid for the kilns and equipment! However Michaela and Pauline managed to get a grant towards this, and invested the earnings that they had already made through their craft workshops. Meanwhile, I installed worktops, shelves, lighting, and we painted the whole cellar white to make it all a bit less murky. 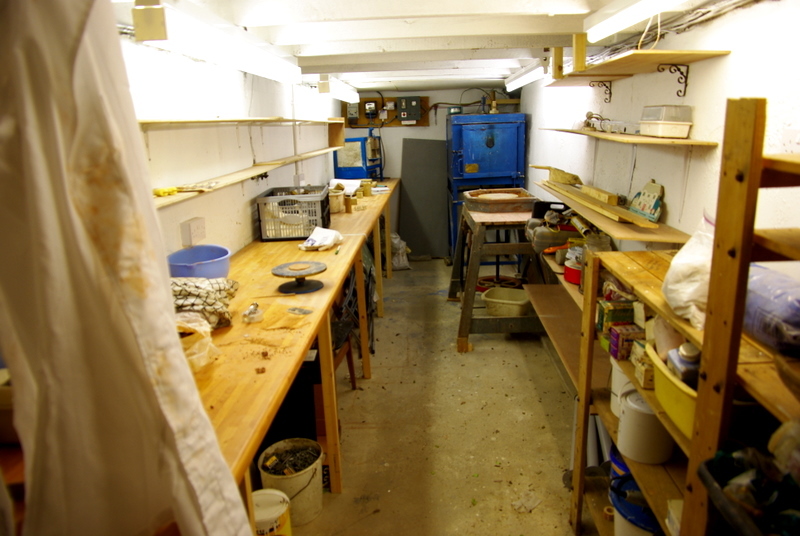 After all this hard work, and kindness from friends, you will understand how exciting it was to fill the kiln with Pauline’s pots, and fire it up. Pauline and Michaela will be running workshops soon- so if you are up for a combination of a break in Scotland and some pottery- let me know! 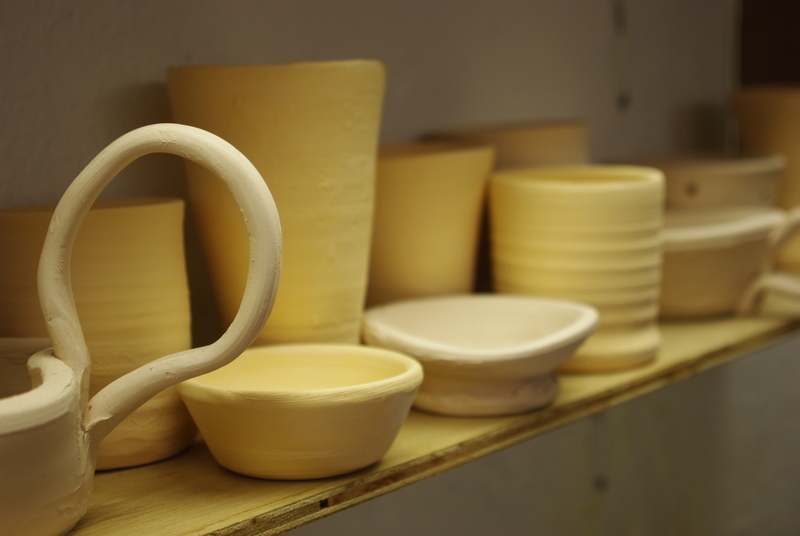 This entry was posted in Uncategorized and tagged pottery, pottery workshops by Chris Goan. Bookmark the permalink.